This Romanesque Revival-style brick church was built in 1912 by Columbus White, a local African American contractor. 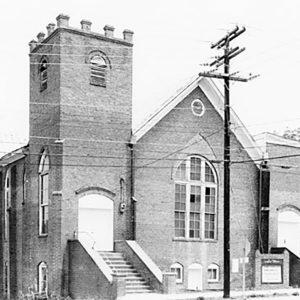 Saint Paul First Baptist Church was the first black Baptist church in Laurens. The church is included in the Laurens Historic District.